Cobalt Pointelle Cardigan is rated 4.0 out of 5 by 1. 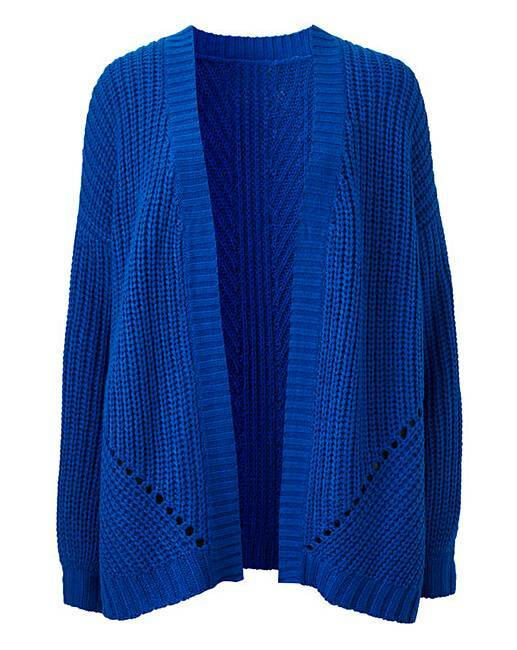 Update your wardrobe for spring with this gorgeous pointelle cardigan. Featuring balloon sleeves and pointelle detailing to the front. The perfect throw-on piece, simply layer up over any outfit for an effortless daytime look. Rated 4 out of 5 by Linda from Nice detail This cardigan will be perfect as the weather turns from winter to spring.